Nearly six years after a brutal attack left her on the verge of death, Nobel Peace Prize winner Malala Yousafzai has returned to Pakistan. 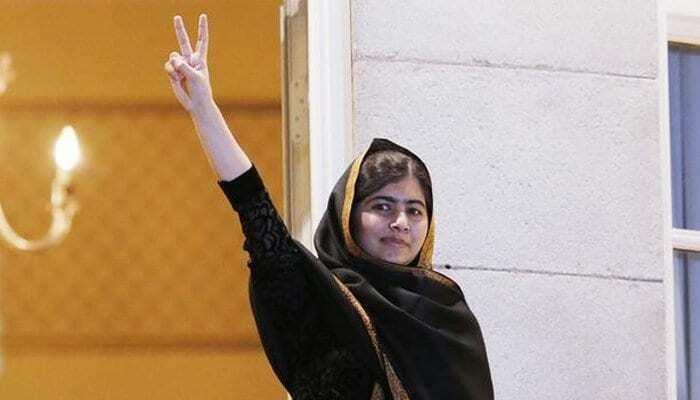 Malala, who is now 20, arrived at Islamabad Benazir Bhutto International Airport flanked by heavy security in the early hours of Thursday morning. Her parents are accompanying her on the trip to her native country. The social activist is also expected to meet Shahid Khaqan Abbasi the Prime Minister at the prime ministers house and an additional meeting with Chief of Army Staff General Qamar Javed Bajwa. The 20-year-old will also participate in the ‘Meet the Malala’ programme during her four-day stay in Pakistan, the details of which have been kept secret. In October 2012, Yousafzai — then 15 years old — was shot in the head at point-blank range by Taliban gunmen as she was returning from her school in Swat valley. Severely wounded, Yousafzai was taken by helicopter from one military hospital in Pakistan to another, where doctors placed her in a medically induced coma so an air ambulance could fly her to Great Britain for treatment. Little more than a week after being shot, Yousafzai got back on her feet again, able to stand when leaning on a nurse’s arm at Queen Elizabeth Hospital in Birmingham, England. She has become an internationally recognised symbol of resistance to the Taliban’s efforts of denying women education and other rights. In 2014, Yousafzai became the youngest recipient of the Nobel Peace Prize at the age of 17 in recognition of her efforts for children’s rights. Yousafzai founded the Malala Fund, which invests in local educational initiatives for girls in Pakistan, Afghanistan, Nigeria and Kenya, and in Jordan, where it focuses on Syrian refugees.